We have had a dynamic and constructive start to 2019, but there is still a lot of hard work ahead to ensure that our region reaches its full potential. On behalf of the Regional Development Australia Central Coast (RDACC) Board, we extend our congratulations to the Berejiklian Coalition government for winning office at the recent NSW State election. It is particularly pleasing that as the 45th elected leader of our state, Gladys Berejiklian is also the first-ever elected female Premier. – More than $50M for the Medical and Research Centre in Gosford. As leaders in the regional economic development of the Central Coast, RDACC will spearhead the efforts to ensure these commitments become a reality, and to bring these and other major projects to fruition as soon as possible. We urge all levels of government to work together to fulfil these promises, and call for a holistic, regional approach from all major stakeholders to ensure the best outcomes for our region. 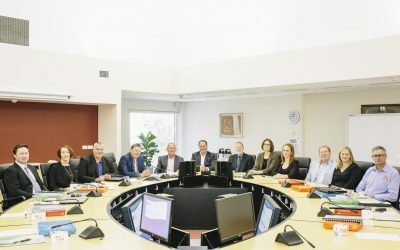 Locally, we note the people of the Central Coast have maintained the status quo, with all elected State Members being returned to their seats – indicating that our community is proud of the good work being done across our region. In addition to his re-election as the Member for Terrigal, we acknowledge the appointment of Adam Crouch MP to the position of Government Chief Whip – a role which recognises his accountability, stature and responsibility within the government. RDACC looks forward to working closely with Mr Crouch to ensure that our region recognises direct benefits from his appointment. We look forward to continuing to work with all of our local members to advocate for the entire Central Coast, and we are also eager to continue our work with the Berejiklian Government, to ensure the priorities and needs of our region are fairly recognised against those around the state. We note there have been no Parliamentary Secretaries appointed under this Government. RDACC considers this to be an effective strategy to encourage Ministers and Parliamentary Officials to visit regional areas such as the Central Coast more frequently, allowing regional leaders and the broader community a greater voice in communicating directly with the NSW Government. RDACC will work with all of our State Members to ensure that the Central Coast is recognised as a growing and critical economic region in New South Wales. The Coast’s economic development is already well underway, with local developers and investors from near and far showing increased confidence and investment in our region. RDACC’s new ‘Quality Development on the Coast’ Series has now been launched to shine a light on some of the major projects and people shaping our region’s growth. Most importantly, we’re calling on all major stakeholders to recognise that this is a critical time for everyone to work together – it is no longer good enough for separate political, social and environmental ideologies to limit our future potential. The economic, social and environmental needs of our region must be met collectively, and this will only come through true collaboration, cooperation and negotiation at all levels. With tens of thousands of people moving to the Central Coast over the next 15 years, there is an urgent need for enabling infrastructure, road funding, job creation, transport requirements and housing. We also need to ensure synergies are realised between all major infrastructure projects, to enable our region to reach its full potential. This can only be achieved through strong, effective leadership, and the development of a compelling, strategic narrative that will unite and engage all regional stakeholders. Again, on behalf of the RDACC Board, we congratulate our recently elected NSW State Government and local members – we’re looking forward to continuing our effective working relationship, as we drive the economic and social development of the Central Coast.